Herzog & de Meuron, Studio Gang and Diller Scofidio + Renfro are among the star-studded list of architects in the running to design a new campus for London's Royal College of Art. Swiss architect Christian Kerez, Belgian firm Robbrecht en Daem, French office Lacaton & Vassal and London studio Serie Architects are also on the seven-strong shortlist for the RCA's Battersea South campus. The £108 million project is being made possible by a large funding injection from the UK government. Located near the existing Battersea campus, the new 15,000-square-metre facility will host a range of new courses focusing on the crossover between design, science and technology. New programmes will encompass robotics, wearable technology, smart materials and city design. The campus will also house startup businesses as part of the school's InnovationRCA incubator programme. The shortlist was selected by a panel of judges that included RCA rector Paul Thompson, the school's architecture dean Adrian Lahoud, urban design expert Ricky Burdett and MoMA curator Paola Antonelli. There is one notable omission from the list – London firm Haworth Tompkins, which is behind all of the RCA's latest buildings, including the Woo Building, the Dyson Building and the Sackler Building. "This shortlist represents an exceptional cross-section of international talent all wanting to engage with a world-class institution," said Paul Thompson, who chaired the jury. "The panel was particularly delighted with the range of talents and approaches, not least because the building has to reflect the radical nature, experimentation and high design standards of the world’s pre-eminent art and design university." 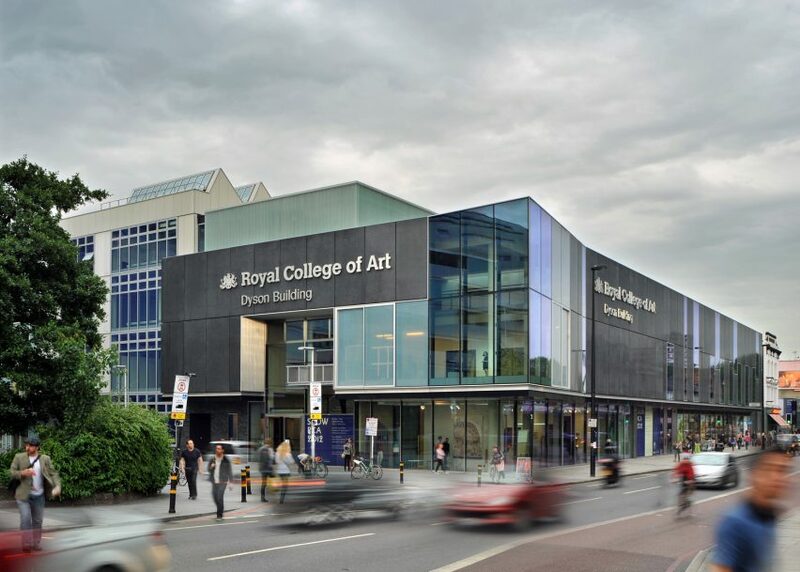 The Royal College of Art was named as the top art and design school in the world in a recent survey – despite a difficult year in 2015, which included a number of high-profile staff resignations and reshuffles. The new facility will provide space for 1,500 students and startup staff. It will also incorporate the school's existing fashion and textiles departments, which will move from Kensington.